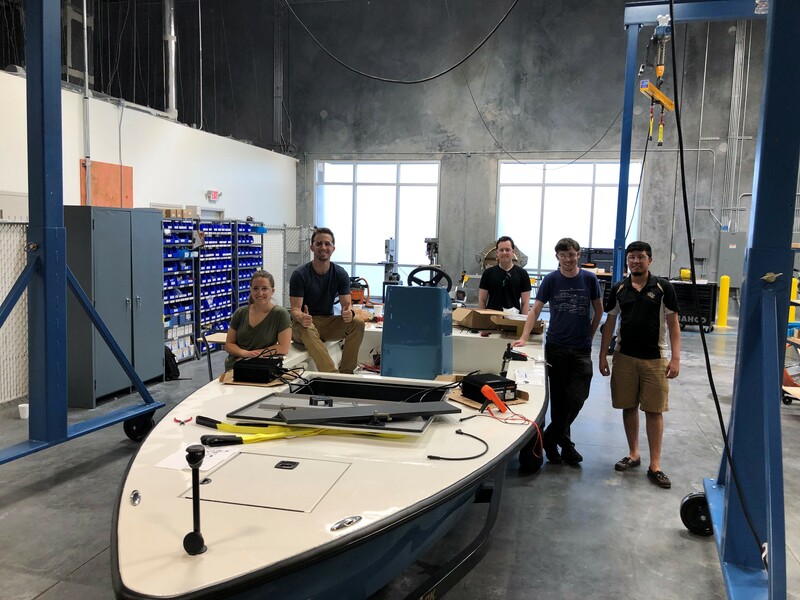 ORLANDO, FL (April 16, 2019) — The quiet aluminum fishing boat project that Correct Craft’s Watershed Innovation and the University of Central Florida students have been working on will be presented at a statewide engineering senior design showcase on Monday, April 22nd at Florida Atlantic University in Boca Raton from 4 p.m. – 7 p.m. The Florida-wide Engineering Senior Design Invitational is a relatively new collaborative initiative by 10 deans of Florida’s engineering colleges, including The University of Florida, Florida Atlantic University, University of Miami, Embry-Riddle, FIU, UCF and more. Each university selects two to three of their best senior design projects for showcasing alongside other universities’ projects.